Just about anywhere else in the world sofrito would refer to mixture of onion, garlic, celery, carrot, peppers and/or tomatos, sautéed together and forming a base for a host of sauces, soups and stews. But not in Greece. 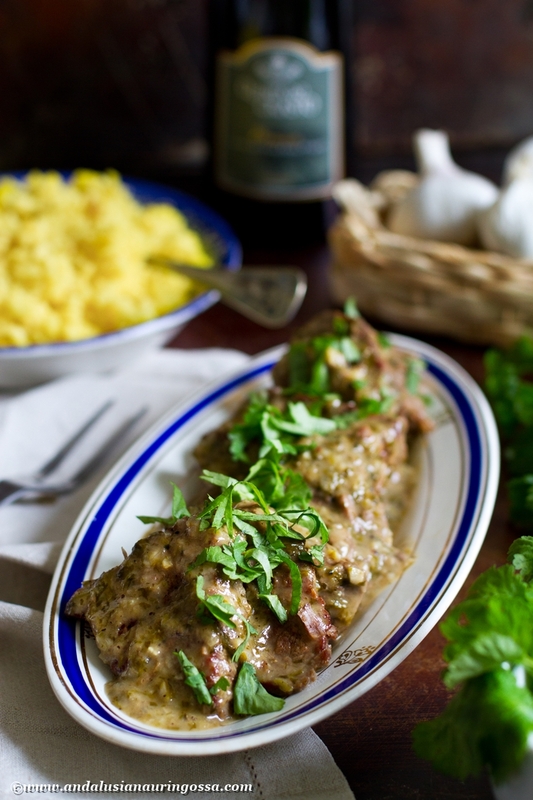 In Greece, and especially in Corfu, it is a name for a local signature dish: beef (or veal) braised on parsley, garlic and white wine. Then again, just about everywhere else in the world you wouldn't expect government salary to keep on running even after the death of a civil servant... which apparently has not been the case in Greece...! Traditionally sofrito is made using veal (in which case the cooking time is shorter), but my favourite has turned out to be beef. It's also more convenient in that it's a lot more readily available in the shops. Cut the meat (against the grain) into 1 cm thick slices. Using a met tenderizer pound a little thinner (or flatten with your fingers). Dredge in flour and season generously. Brown the meat in a couple of batches in oil. Move aside. Add more oil into the pan if needed and sauté garlic, onion and parsley. Once onion is translucent, add vinegar and wine. Stir and continue cooking for a couple of minutes. Add marjoram (if using) and meat into the pan. Add enough water to barely cover the meat. Cover and simmer until meat is tender (depending on the meat and size of the slices about 1,5 hours. Especially towards the end check every now and then that there's still some liquid left. Check the taste and season as needed. Serve with boiled potatos, roasties, rice, this fruity couscous or this Mediterranean rice pilaf. Summer seems to have depleted the white wine reserves here chez food blogger, but luckily I did find a match for this dish, too. 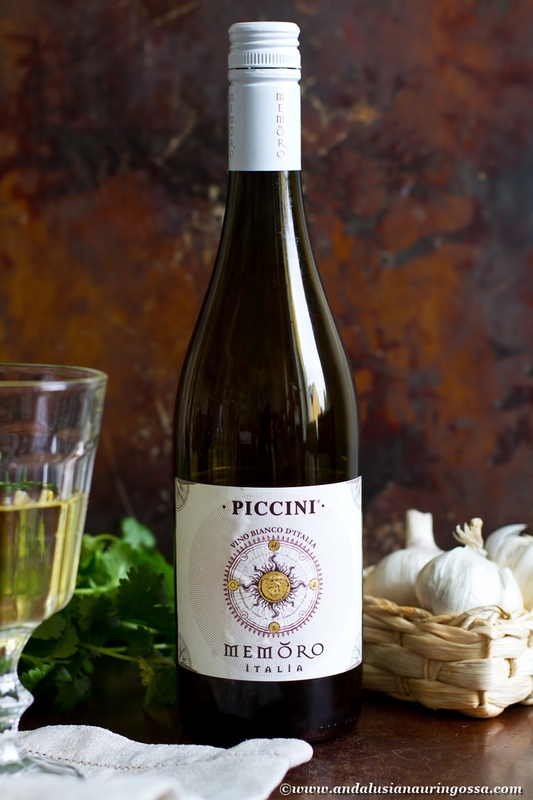 Italian Piccini Memoro Bianco comes from under the Tuscan sun and is a blend of Viogner (40%), Chardonnay (30%), Vermentino (20%) and Pecorino (10%). Its dry acidity and oakiness make it a versatile wine to pair with variety foods. I'd try it with rich creamy dishes (pastas). Oakiness gives it body that sees you through even red meats. Another white that might well work with the tanginess of the dish is this Semillon Chardonnay I paired earlier with Veal Piccata. But if you long for red, I suggest New World Pinot Noir, which is a classic pairing for dishes with acidic or tangy components. One of my favourites is this New Zealand wonder.